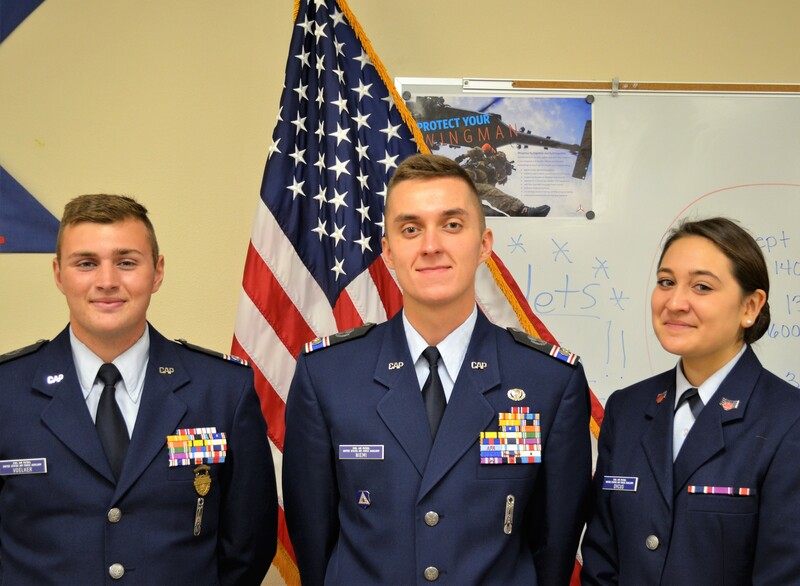 Three local Civil Air Patrol members were recently selected for the 2018 Marine Corps Summer Leadership and Character Develop Academy to be held July 16-22 at the Marine Corps Base in Quantico, Virginia. Cadet Captain William Voelker, 16, of Pulaski, Cadet First Lieutenant Matthew Niemi, 17, of Kaukauna, and Cadet Senior Airman Emerson Dycus, 16, of Green Bay were selected for the week-long training based on their high school coursework, physical fitness, and letters of recommendation. All three cadets are looking to use the experience gained at the Leadership and Character Development Academy towards a military career. Cadet Lieutenant Niemi is currently in the process of enlisting in the United States Air Force as a Security Force Member and both Cadet Captain Voelker and Cadet Airmen Dycus are preparing to apply to the United States Air Force Academy in Colorado Springs, Colorado. During their week in Virginia, the three candidates will gain a taste of military life and be introduced to Marine Corps physical fitness, academic, field and ethics standards. They will also spend at least a day in Washington, DC. Past participants have visited the United States Holocaust Memorial Museum, various members of Congress, and the Department of Education.